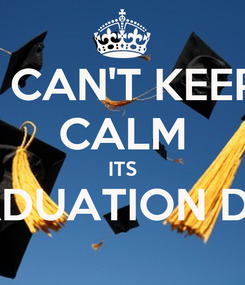 I CANT KEEP CALM ITS GRADUATION DAY!! 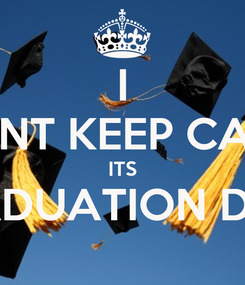 I CAN'T KEEP CALM ITS GRADUATION DAY!! I CAN'T KEEP CALM TOMORROW IS GRADUATION! !